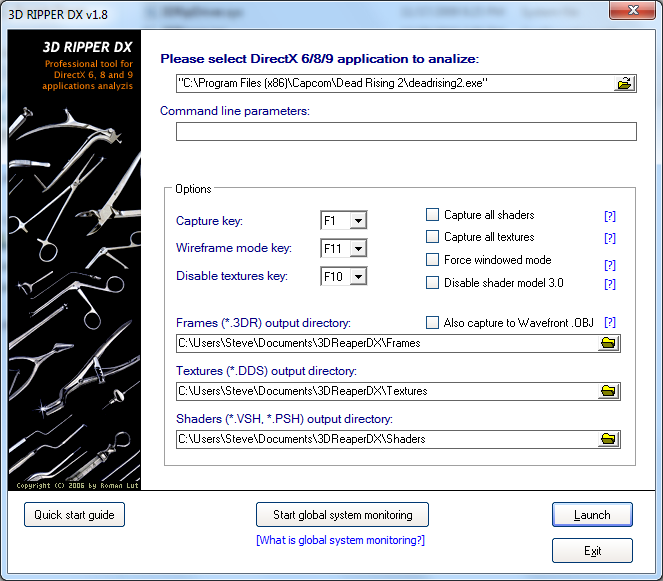 3D Ripper DX is a tool for capturing geometry and textures. This is very useful for machinima because it allows you to export models from a huge selection of games. You will need a 3D program for this. 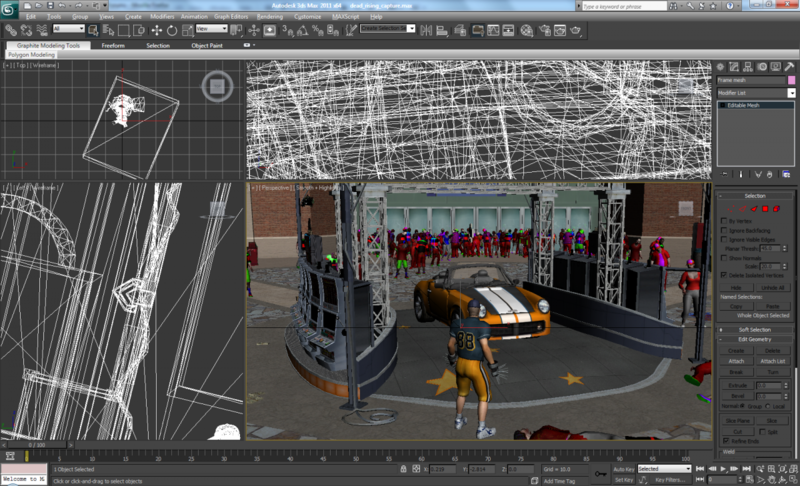 3D Studio Max is recommend, but other programs that can import OBJ files may work as well. 1) Open 3D Ripper DX and locate the game exe. Make a mental note of your capture key, then press launch. – If using a Steam game, make sure steam is running first. Use the game exe, NOT steam.exe. 2) You will see a “Ready to capture” message in the top left corner of your screen if the program is running. 3) Press the capture key when ready. 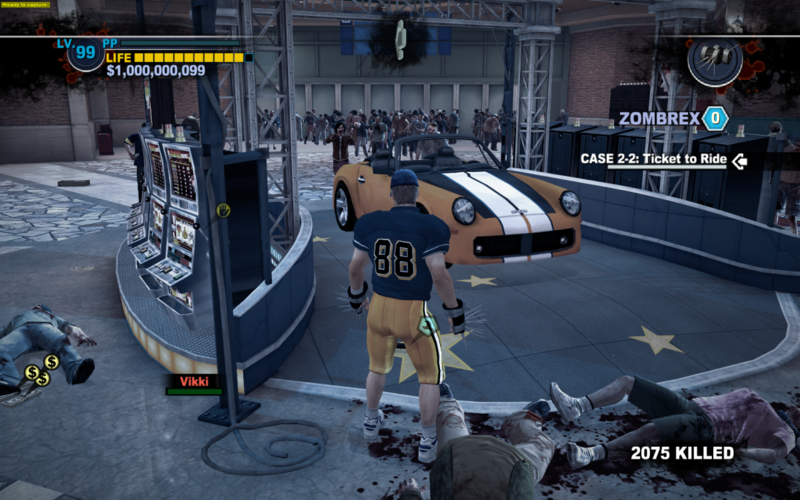 The game will freeze during this process which may take a few minutes. 4) Import the file into your 3D program. Most of the import options can be left at their default setting. If everything worked it should look something like this. – Always run 3d ripper as admin. – The OBJ capture option wont allow you to adjust the aspect ratio. – Consider using Umodel or other tools to extract game models before using 3D Ripper DX. – Scale up to prevent visual bugs. – “Global system monitoring” only works on 32-bit Windows XP. – Steam users: Each game needs to have it’s own EXE that can be launched without Steam. HL2 and TF2 do not have this, although you can rip from the Hammer editor or use “Global system monitoring”. – This program won’t work with some Source engine games, but it will work with Hammer (the Source engine map editor). Try Steam\steamapps\username\sourcesdk\bin\orangebox\bin\hammer.exe. – Rotate the models before exporting them. 1) The skin color or clothing doesn’t look correct. – Many games use dynamic materials which allows them to easily change the appearance or characters. Mass Effect for example uses pale orange white texture for the skin, then the game engine (Unreal3) shades it. You will need to manually adjust this. 2) Some ripped models seem to be very low poly. – This is likely due to LOD models. Some games will allow you to disable these in the settings, otherwise just try getting closer to the model before hitting the capture key. 3) Why are some models solid black? – This may be related to the UV channels. 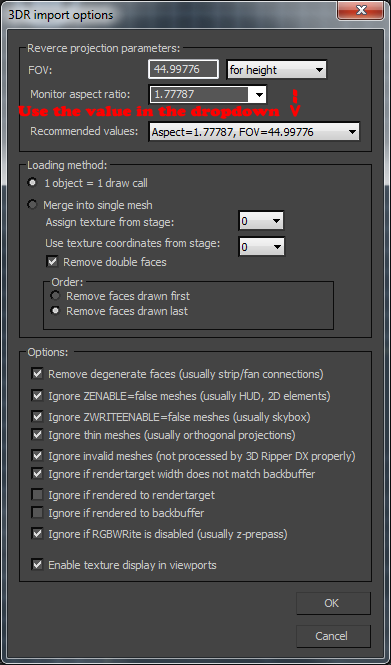 Try changing or deleting any extra UV channels. Can you only capture one side of the model or the whole entire model including all it’s sides. For example, for the car, you only capture 1 side using 3dx ripper and that is like taking a print screen of a picture on your screen. What about the other sides of the car? Will 3DX ripper automatically find them using the underlying software or will it have to recapture it by itself and export it? Thanks for your tutorial. I am not sure if you will reply to me, I have a question to ask. I have tries several version of Google Earth and 3D Ripper DX, and different systems (win7 win 10, 32 bit, 64 bit), But I have no idea of the problem. I really hope you can help me to solve the problem, thanks a lot!